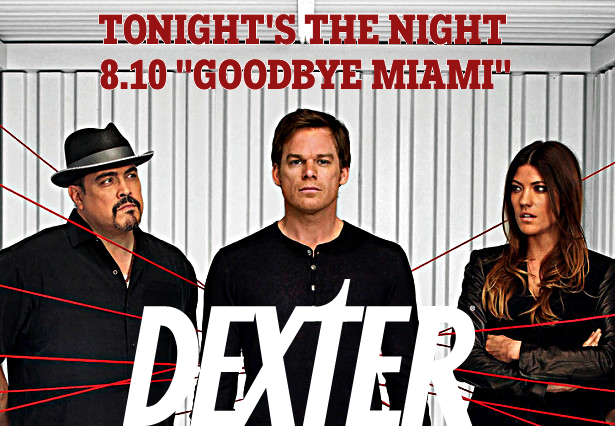 Dexter Daily: Tonight's the Night | 8.10 "Goodbye Miami"
Tonight's the Night | 8.10 "Goodbye Miami"
DEXTER. IS. BACK. Tonight's the night, for the tenth episode of the eighth and final season, "Goodbye Miami", which is written by Scott Reynolds and directed by Steve Shill. (9pm on Showtime). Three more episodes left until the end of Dexter. What do you expect from tonight's episode? Share your predictions in the comments section!